This was easy and yummy. Place each chicken breast on top of a sheet of aluminum foil. Each chicken breast should have a piece of foil under it. Top each chicken breast with one tablespoon of bbq sauce. 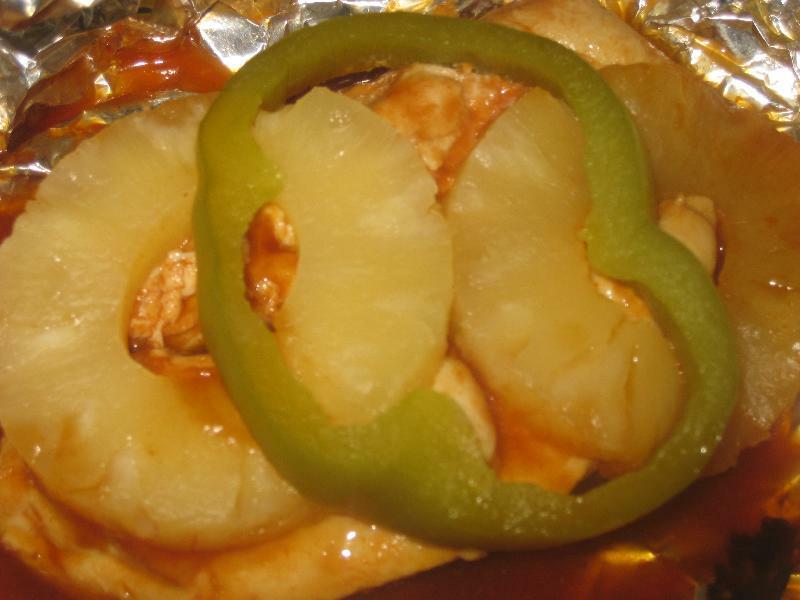 Place a pineapple ring and slice of green pepper on top of each chicken breast. Fold the aluminum foil up making sure the chicken is wrapped. Leave room for air to circulate. Grill for 15 minutes or until the chicken reaches 165 degrees.